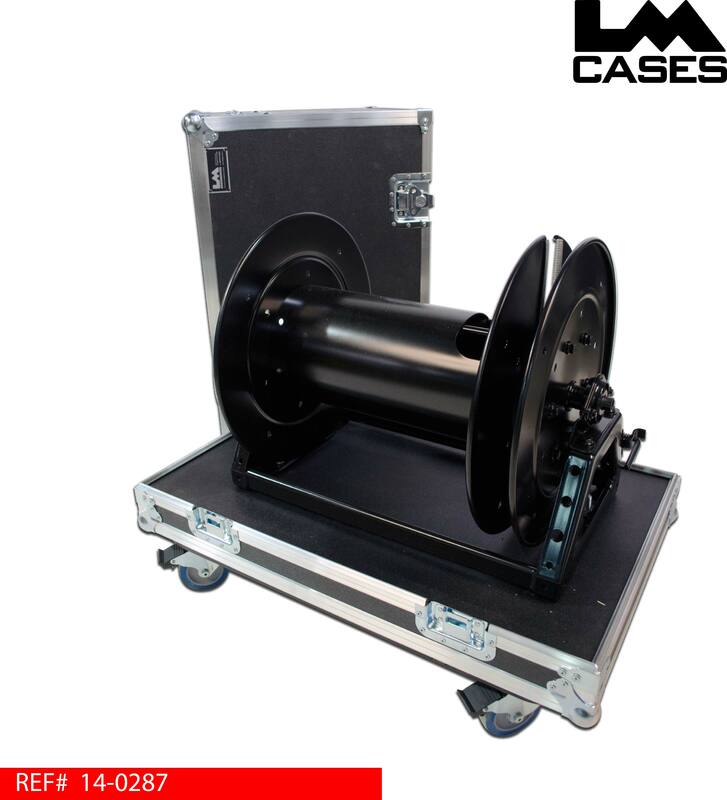 This case was designed for Amplio Systems to hold a Clark Wire CWR-528 cable reel. 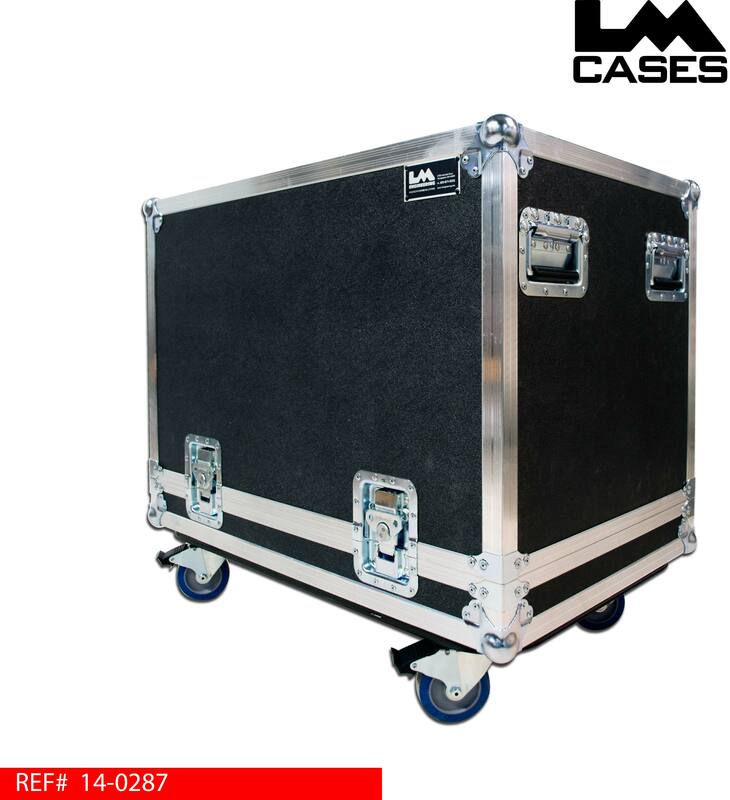 The case features a black painted interior with a 1/2" mounting board to attach the reel. The reel was installed by the LM Cases Custom Integration department. The exterior case is built out of 3/8" plywood laminated with black ABS plastic and features 4 deep recessed handles and 4" Colson casters. Special thanks to Amplio Systems!